Dynamite , For over 25 years the young people of Holmewood, North Wingfield and Temple Normanton have been made very welcome at the Dynamite Club Tibshelf Road. 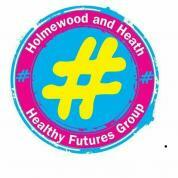 To improve the health and wellbeing of Holmewood and Heath residents by engaging with them to provide "something for everyone" through a co-ordinated community development approach. Holmewood Cricket Club has been in existence since 1922, the majority of years before and just after the second world war being named as Hardwick Colliery Cricket Club. In 1956 the club was reconstituted and from its inception until 1979 the club played on the Holmewood Miners Welfare Social Club ground based at Williamthorpe Pit Lane. In 1979 the Derbyshire County Council purchased the ground from the Welfare and since that date the club has played at the local authority owned recreational ground in the centre of the village. WHAT DOES THE BANK/SCHEME OFFER? WHO SUPPLIES THE FOOD FOR THE SCHEME? what ever your skill level come along and join in with Knit and Natter and lots of Chit and Chatter. HTML5 validated. WCAG compliant. Page generated in 0.0911 seconds.